The Daily Caller posted the segment of Sunday night’s “Sarah Palin’s Alaska” in which Sarah shoots and kills a caribou. Governor Palin made several attempts with a gun with a scope on which the calibration was off, causing her to shoot high of the target. But when she changed guns, she felled the animal with her first shot. After a couple practice shots with the suspect gun, Heath laughed and admitted, “I owe Sarah five dollars.” The scope had indeed been off. At the end of the day, Palin’s dad was proud of her hunting skills. “When Sarah shot that caribou, I immediately thought, ‘that’s my girl, that’s the girl I raised, I’m glad I raised her that way,’” Heath said. Interesting. I say, “Sarah, keep your eye on the prize”. 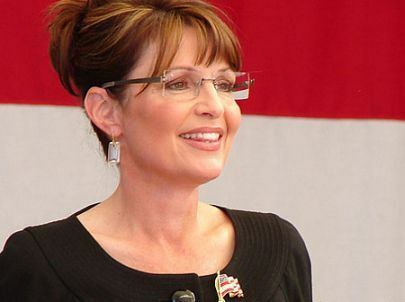 Sarah Palin isn’t running…for one job at least. She doesn’t appear to be a candidate to Chair the Republican National Committee. 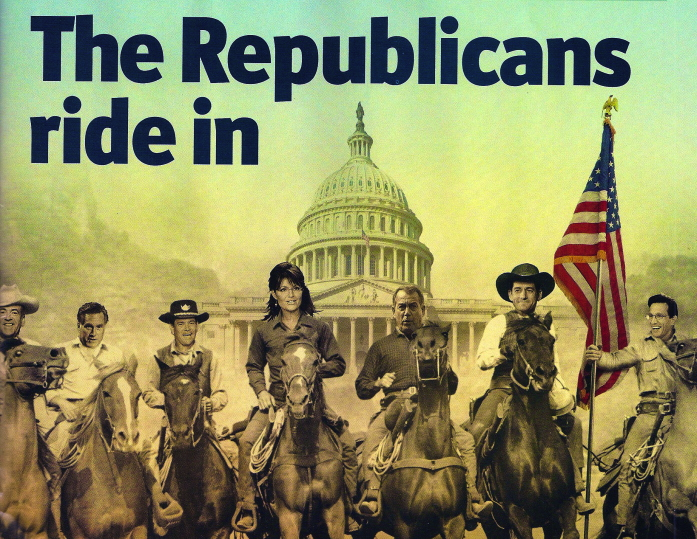 The activist group Tea Party Nation, planned on sending a letter to Palin pleading for her to run. But there was another politician who faced a similar choice, four years ago: I could be content with the adoring crowds, the bestselling books, the ideological media applauding my every move — or I could go for the presidency. We all know the choice Barack Obama made. More than 25 years after the premiere of “Runaway Train,” Voight is back in Alaska this winter to film an Anchorage-based, supernatural thriller. Tentatively titled “Ghost Vision,” the movie stars Voight as a semi-retired Anchorage police detective investigating the disappearance of a young girl. Q. 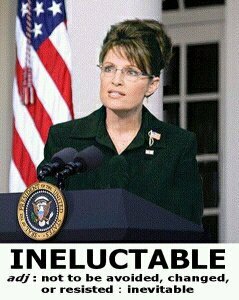 What are your thoughts on Sarah Palin? Are you a fan? A. I’m a big fan. I think she’s a remarkable person. May I say this, to the Alaskan people. I think you should be very proud of her. She certainly represents the spirit of the Alaskan. She certainly loves her Alaska. She loves it. But there’s something extraordinary in her. She’s very smart. And the attacks against her, even just based on the attacks against her, I would like her. Because all these mean-spirited people try to find something wrong with this very admirable person. It’s quite transparent that they’re just bad-intentioned folks trying to bring down this very nice gal. Q. Would you vote for her for president? A. I sure would. I sure would vote for her if she was running for president….Some people have said that they were upset with her for leaving the governorship when she did. I disagree with those people. I think she saved Alaska with that move. She had capable people who were going to take over … She was being attacked, she was being prevented from governing. And they knew it. That’s what they were intending to do. What she did was she took the target and moved it. She took it away from Alaska. Great. She did a great service there. And smart as hell.